Taekwondo and Gumdo have ten color belt ranks from white belt to black belt. As your skills improve you will progress through the ranks in martial arts. You are encouraged to attend classes as often as possible so that you can learn, train and be prepared to test for your next belt. Once you have met the required qualifications to test for your next rank you will receive an invitation to your exam in class. 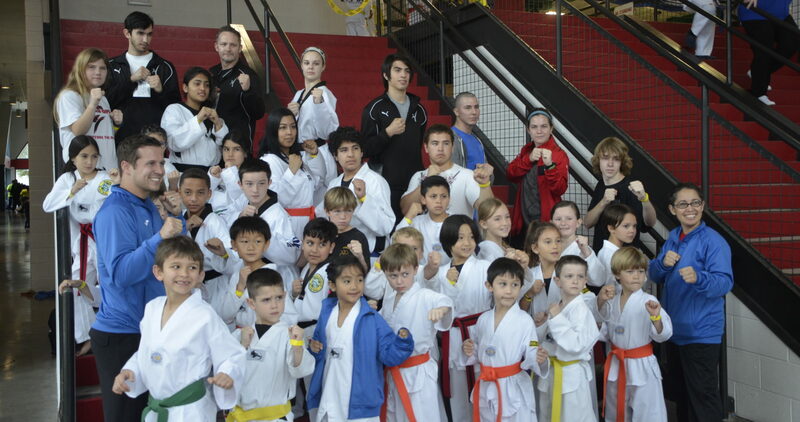 At NSMA we have belt testing on the last Friday of every month. The examination generally will last two hours and we encourage participants and spectators to arrive 20-30 minutes early to practice and get a good spot to sit. With determination and persistence, a black belt can be yours! Requirements for testing include knowing all basic hand drills and kicks. You must know how to count to ten in Korean and a few basic commands in Korean. You will be required to break a board with a technique appropriate for your level. Physical abilities will also be tested through a variety of drills and exercises. You must know the form appropriate for your advancing belt and be prepared to execute it with precision and confidence. Every student is required to have a full set of sparring gear in order to test as sparring will be part of the exam! Your Instructor will evaluate you and let you know when you will be testing. Stay focused and get ready to earn your next belt!